Benzene ring: An aromatic functional group characterized by a ring of six carbon atoms, bonded by alternating single and double bonds. A benzene ring with a single substituent is called a phenyl group (Ph). Benzene has a benzene ring, but pyridine does not. 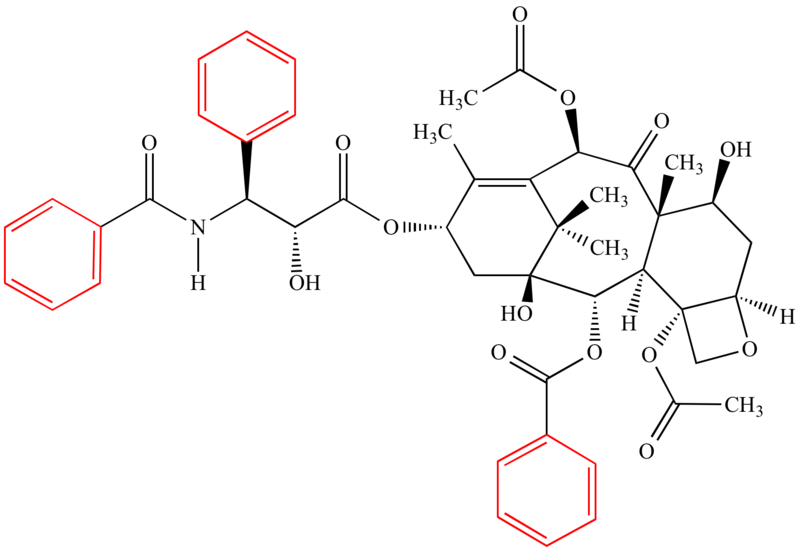 Taxol, an anticancer drug, has three benzene rings (shown in red).